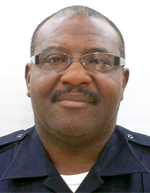 The Brazos County Constable's Office Precinct 4 is led by Constable Isaac Butler, Jr., who has served three elected terms as Constable. Isaac Butler, Jr. is the first African American Constable in Brazos County. He has remained in the office of Constable, Precinct 4 since he was first elected. 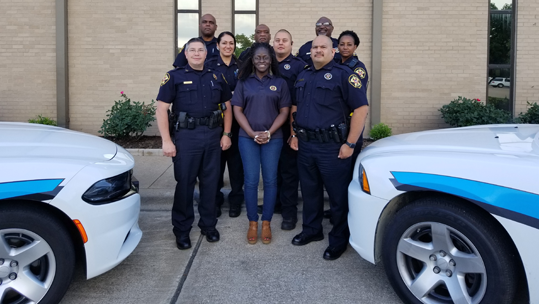 Constables are licensed by the Texas Commission on Law Enforcement Officers Standards and Education and are commissioned by the governor as law enforcement agents. . The Brazos County Constable's Office Precinct 4 is led by Constable Isaac Butler, Jr., who has served three elected terms as Constable. Isaac Butler, Jr. is the 1st African American Constable in Brazos County. He has remained in the office of Constable, Pct. 4 since he was first elected. Constables are licensed by the Texas Commission on Law Enforcement Officers Standards and Education and are commissioned by the governor as law enforcement agents. Constable's are the oldest law enforcement position in the world. History records Constable's in France in the beginning of the 5th century, when they were known as the Counts of the King's Stables. By the turn of the 6th century they were the Chief Household Officers and commanded the Armies in the King's absence. In the year 871 AD King Alfred of England, declared the Constable was the highest judge in the military offenses and in matters of chivalry and honor. He was also named by the King to be the supreme arbitrator in tilts, tournaments, and martial displays. The Constitution of the Republic of Texas (1836) provided for the election in each county of a sheriff and "a sufficient number of constables." During the ten years of the republic's existence, thirty-eight constables were elected in twelve counties. The Constitution of 1876, designed to decentralize control of the state government, reduced the power of many state officials and mandated that constables would once again be elected at the precinct level. A 1954 constitutional amendment extended their term of office from two years to four. The Constables are elected by the registered voters in their own precinct, paid by the County and their Law Enforcement Commissions are still carried by the Governor of the State of Texas, which makes them state officers as they were in the early history of Texas. Constables are the only Law Enforcement mandated by the Texas Constitution which makes them truly indeed "The People's Police Officer". Brazos County Precinct 4 Constable’s Office is the chief process server of the Justice of the Peace, Pct. 4. The department has state-wide jurisdiction to execute any criminal processes and county-wide jurisdiction to execute any civil processes. This office also serves all Truancy papers. We are committed to the highest performance standards and ethical conduct. We hold ourselves accountable for our actions and take pride in a professional level of service and fairness to all. We provide quality service in a courteous and efficient and accessible manner. We are committed to improving Precinct 4 by being responsive to the citizens of Precinct 4 and all of Brazos County. Reserves are fully certified peace officers. They work on a non-paid basis and are required to work a minimum of 20 hours a month. They are trained to the same standards as full time deputies. If you are interested in becoming a Reserve Deputy with us, please click here to fill out the Reserve Duty Officer Application. We currently have two divisions: Civil and Traffic / Criminal.